Self-improvement is a long and challenging process. Most people dream big and make a full list of personal goals, but they rarely ever fulfill all objectives. They may try a number of things, from holistic institutes and seminars to motivational speakers and online education, but they usually give up at some point. The main reason why this happens is that people are entering the game unprepared. They want instant achievements and quick progress, which is exactly why the self-improvement industry is estimated to be worth $11 billion in the United States alone. Instead of enjoying the process, more and more individuals want to “buy” progress and evolve rapidly. But, if you really want to improve and become a better person both privately and professionally, you have to be patient and come up with a good plan. Years of experience in the field of self-improvement taught us how to deal with obstacles, so we would like to share some interesting insights with you. 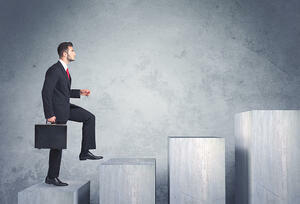 In this article, we present you 10 steps to achieve goals faster. Let’s take a look! We bet you can think of dozens of self-improvement goals. From learning languages to computer programming, everybody wants to advance in a number of different ways. However, we recommend you focus on important tasks only. Urgent and important: Such a task comes first and you should complete it immediately. Important but not urgent: The second group of tasks includes relevant duties that can wait for the first group to be finished. Urgent but not important: You solve these tasks in the third phase. Not important and not urgent: It doesn’t matter even if you neglect these activities. As soon as you learn to focus on important tasks, you will stop wasting time on irrelevant duties and become more productive. It’s okay to dream of big achievements, but only if you really think it could happen. Don’t waste your time on goals that are impossible to reach when there are so many other things you can do in your life. It may sound strange, but writing down your plans gives you a much higher chance of converting on them vs. just talking about your wishes. It’s a small but notable psychological trick that helps you to narrow down the options and concentrate on concrete actions. At the same time, a written plan gives you clear milestones to follow, so you simply cannot lose focus somewhere in the process. Another way to achieve goals faster is to make a calendar of activities. Create your own personal planner to avoid procrastination and make sure that you cover every little aspect of your project in a timely manner. The internet is flooded with useful planning tools, so you don’t even have to bother with calendar creation. For instance, Google Calendar offers you a simple template where you can create as many entries as needed, while the app itself will send you timely reminders of the planned activities. Sometimes, we all need a little support from the people around us to get the job done faster and more effectively. That’s why you should tell your friends or family about your self-improvement plans. They can provide extra motivation and keep reminding you of your promises, so you won’t be making excuses and skipping important activities. This tip goes hand-in-hand with the previous one. If you are entering uncharted territory, perhaps you could look for professional help, too. For instance, let’s say you want to start running but don’t really know anything about it – distances, timing, equipment, etc. In such circumstances, it would be wise to join a beginner-level running group and listen to instructions from your coach. This tactic will help you enjoy running, while the results will be much better. Consistency is critical if you want to achieve goals faster, but don’t forget to take a break occasionally. Don’t consider it a waste of time, but rather think of it as a natural part of the process. If you go back to our jogging example, you will see that it’s not good to train every day. Sometimes you need a day off to recover and enter the next running session feeling fresh and energized. Visualization is a powerful psychological technique that helps top-performers to achieve their goals. The technique is particularly popular among athletes, but you can use it in all other fields of work just as well. In essence, it’s a mental process in which you picture yourself succeeding, which gives you an enormous motivation boost to go on. Setting a goal is not so difficult, but it’s not easy to take the necessary steps and fulfill personal objectives. However, this is only a matter of self-discipline and planning, so you should think about the ways to make your targets achievable and realistic. Our post showed you 10 steps to reach goals faster. Keep them in mind and let us know in the comments if you have other interesting ideas to share with us. About the Author: Cathy Baylis is a freelance content writer specializing in personal growth, career development, and education. She loves sharing her interests with readers, and she has something to say, for sure. Writing is not only her hobby but profession at the same time.